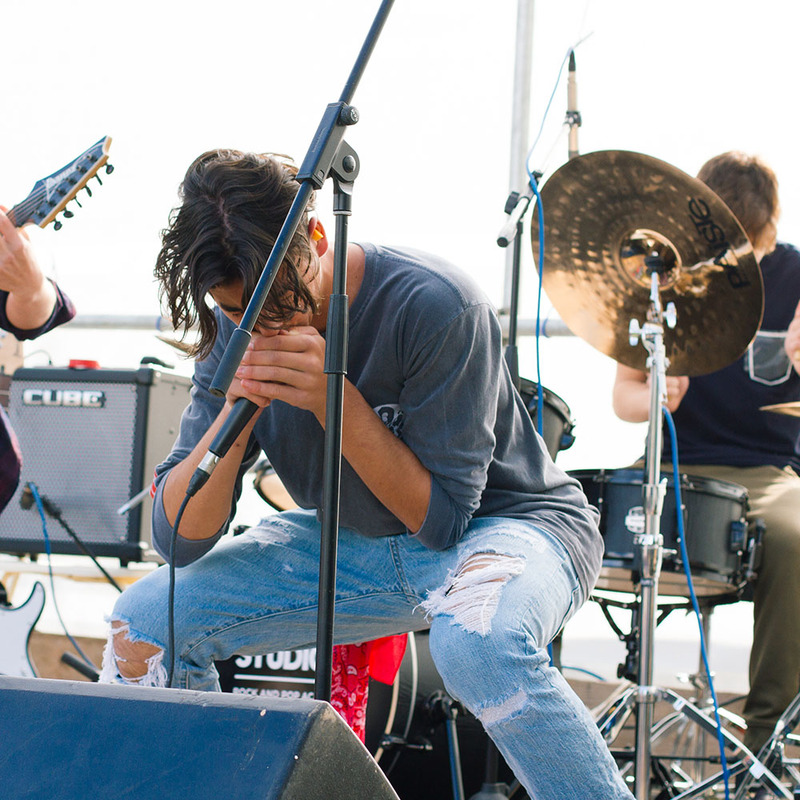 Meet like-minded musicians, develop your skills and play live gigs. 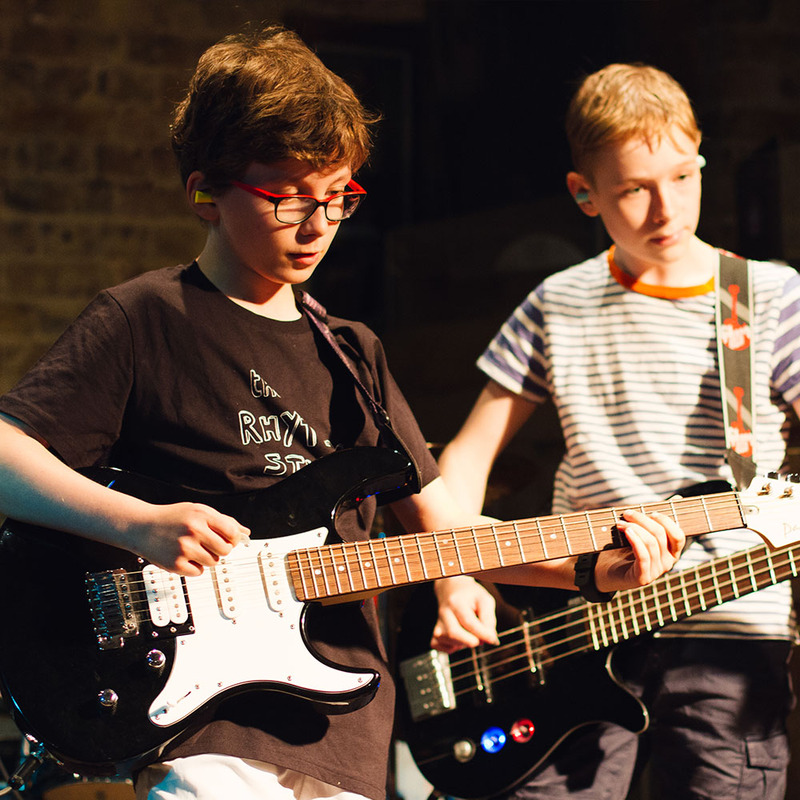 Academy & Junior Bands are fun sessions for 8-16 year-olds who want to take drum, guitar, bass or singing lessons, play in a band, and perform at regular gigs. Band members spend the first half of the session working on their parts in small groups of drummers, guitarists, bassists and singers. The second half of the session is the band rehearsal, where the groups join together to jam their songs. 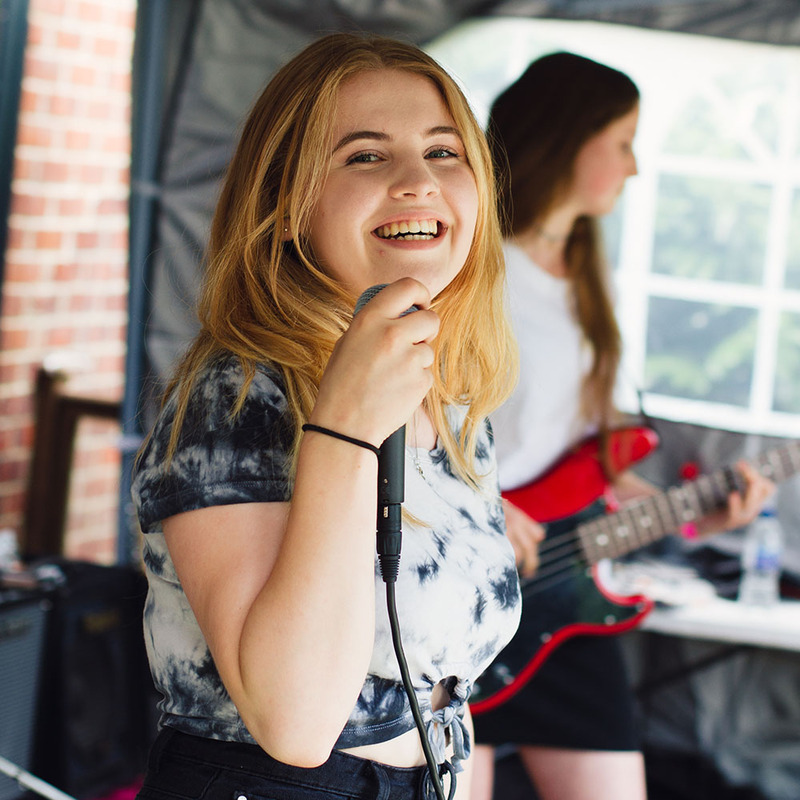 With a team of vocal, drum and guitar tutors leading the sessions, students improve their instrumental skills and and all-round musicianship, while learning to work in bands with like-minded musicians. 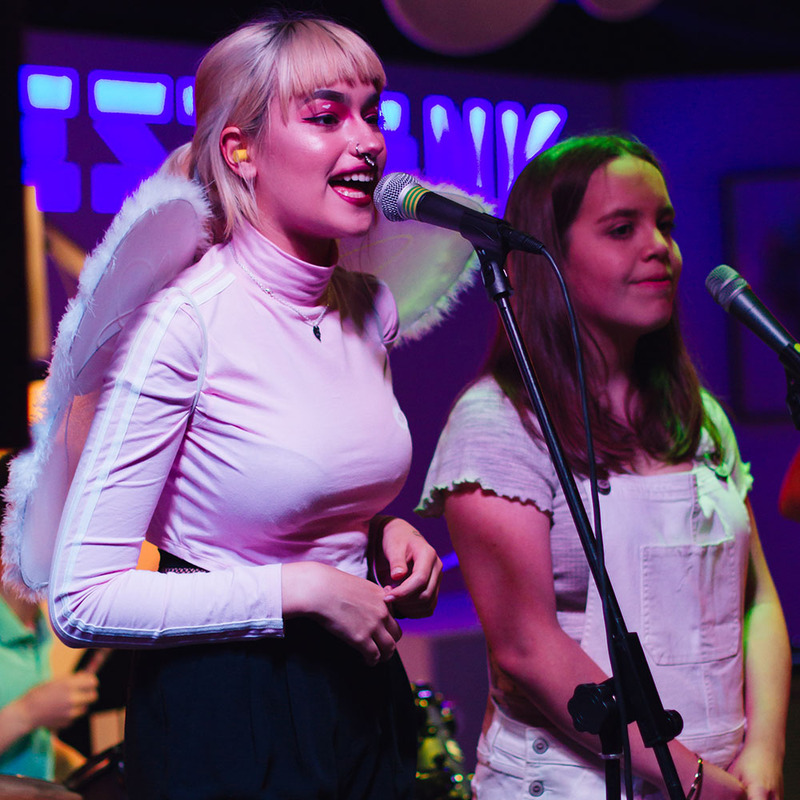 At the end of each term, the bands show off their skills by performing at a local venue in front of family and friends. Experienced young musicians with established music tastes are ready to form their own band at The Rhythm Studio. Friends often form bands together, but we can also help you to find band members with similar interests and ambitions. These sessions offer the chance rehearse, write, record, play gigs and uncover the mysteries of the music business, all under the guidance your own band mentor. The Rhythm Studio’s bands are busy gigging throughout the year at local venues, community events and summer festivals. The hardest working bands have the chance release their own music on RS Recordings, The Rhythm Studio’s own record label.